The chart below is now getting a bit old. 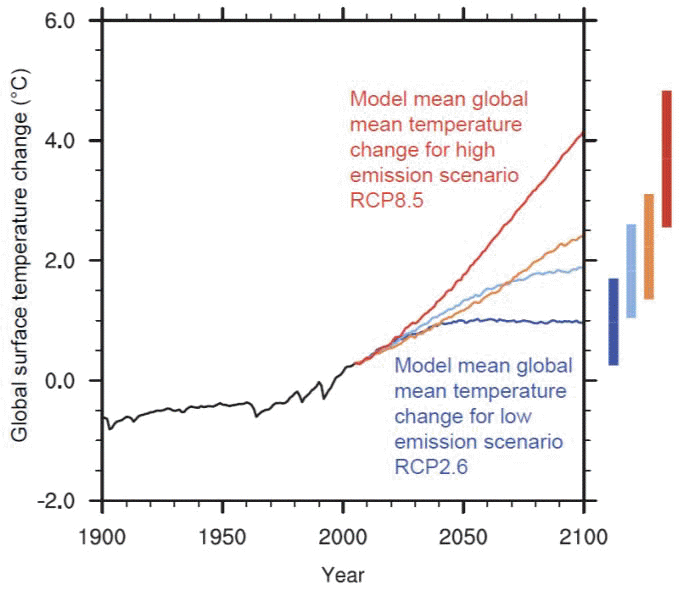 It's from the 2013 IPCC report, and shows what is projected to happen to global surface temperature under different scenarios of greenhouse gas emissions. 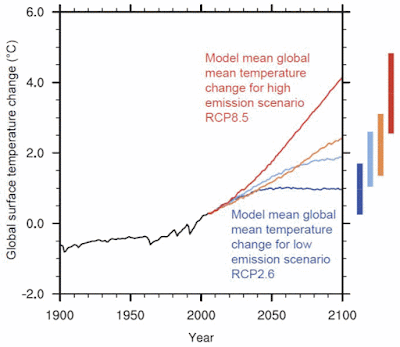 Figure 1: Global mean temperature change averaged across all CMIP5 models (relative to 1986–2005) for the four RCP scenarios: RCP2.6 (dark blue), RCP4.5 (light blue), RCP6.0 (orange) and RCP8.5 (red); 32, 42, 25 and 39 models were used respectively for these 4 scenarios. Likely ranges for global temperature change by the end of the 21st century are indicated by vertical bars. Note that these ranges apply to the difference between two 20-year means, 2081– 2100 relative to 1985–2005, which accounts for the bars being centred at a smaller value than the end point of the annual trajectories. Source: IPCC AR5 WG1, (FAQ 12.1 Figure 1). The temperature projections are shown on the left hand side. If we keep burning fossil fuels then global warming will keep going up and up as shown by the red line. This will result in unimaginable disasters. If we modernise the energy and transport sectors quickly enough, and curb deforestation sufficiently, we'll be able to contain the temperature rise better and maybe survive it. Ross McKitrick wrote a very dishonest article, based on another very dishonest article that Bjorn Lomborg of all people managed to sneak into a journal called Global Policy. The dishonesty was quite clear for everyone to see. Bjorn was claiming that meeting commitments of the Paris agreement would barely affect global temperatures at the end of this century. What he didn't say was that he assumed that after the Paris commitments were kept, all nations in the world would go back to burning fossil fuels with a vengeance. The real reason for pulling of the Paris Accord is that it is a futile gesture based on empty and dishonest premises. The results cited by Lomborg are almost entirely due to the assumptions he makes about the post-2030 annual emissions from the US, EU and China. In each of these cases, annual emissions are assumed not to reduce any further, and in most of his ‘scenarios’, to rise. 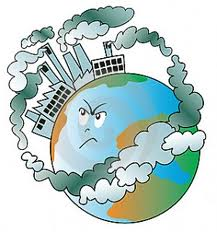 In most of his ‘scenarios’, emissions are assumed to rise by the end of the century to levels that reverse completely the effects of emissions reductions by 2030, and in some cases they also reverse the effects of emissions reductions that have occurred in the period up to 2015. As such, most of the ‘scenarios’ used by Lomborg assume that climate policies are abandoned or reversed after 2030, and it is this assumption that primarily determines the projected global mean surface temperature in 2100. Hence, Lomborg does not investigate ‘the temperature reduction impact of major climate policy proposals implemented by 2030’. Now reverting back to burning fossil fuels after moving away from relying on them is quite improbable. Shifting back to high emissions after 2030 is not what is intended by the world, and it's hardly likely to happen if Paris commitments are met. Of course, people like Bjorn, Ross, Anthony, Pruitt and the scoundrels at the Cato Institute want us to keep burning fossil fuels until they run out. They probably figure that by that stage they'll be dead, so what does it matter if civilisation ends. For Paris commitments to be met, the energy sector is going to have to be restructured. 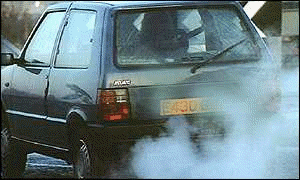 Petrol vehicles will be replaced with electric vehicles powered by the wind and the sun. Electricity generation will continue the switch away from coal, via natural gas, and onward to solar, wind and geothermal. How likely is it that after that happens we'll go back to coal and oil? How likely is it that after switching to an almost maintenance free, clean, fuel free vehicle that you'll want to trade it in for a slow clunky old gas guzzler. That would be like imagining that forty years after the introduction of the motor car, everyone will stop using them and go back to the horse and cart. It's ridiculous. Yet that's what dishonest Ross McKitrick, Anthony Watts and Bjorn Lomborg would have you believe. The Paris Agreement also veers into absurdity by its political and ideological language, requiring countries to address extraneous themes like gender equity, biodiversity, poverty eradication, migrants, disabled persons, a “just transition of the workforce,” “creation of decent work,” and so on. Anthony Watts panders to the lowest of low - in terms of intellect when it comes to climate science and in terms of morality and values. Geoff Sherrington pretends not to know that all decent people would "dispute them", safe in the knowledge that there aren't many decent people who read WUWT. Why is it so hard for regulators and legislators to understand these several valid and important points that Ross makes? Can anyone here dispute them? The irreverent richardscourtney is back at WUWT again, after giving everyone a rest. He doesn't understand much of what he reads but he knows what he likes. That is an excellent summary of the issue that I and others can refer to, cite, copy and disseminate. Bruce Cobb is getting impatient that Donald Trump still hasn't delivered on any of his promises. Trump needs to publicly tear up the climate agreement, and immediately. What is he waiting for? Richard M is also getting a bit frustrated with Donald Trump. Trump needs to show something in the win column very soon. He is fast losing the support of his base. Getting out of Paris, or at least announcing that intention, would be an easy win. He needs to do this for his base and for his credibility. Seems like a damn good deal to me. A rather better opinion on the state of US politics than Richard M can provide is given by Al Jazeera. Great program but it does shame most US programs? Pity. Al Jazeera also has a program Earthrise which is good for environmental issues. The only western media program of a similar standard that I am aware of is Ecoeye although that has a purely Irish perspective. Both can be found on Youtube. The BBC has Countryfile: that, it seems, would never dare offend the oil and motor lobby by headlining climate change. Just watched that Al Jazeera documentary that Millicent linked to. Rational people will find that to be frightening viewing. But I guess we (rational people) all know that Orwell was prescient. We find ourselves talking to Orwell's sheep on a daily basis. The latest one is calling himself Brian at the moment. I alternate between pessimism and optimism. One the one hand we have these dishonest halfwits, lying about global warming. On the other, renewables are already cheaper than fossil fuels and are still plunging in cost. So it now pays us to switch to wind and solar and it will soon pay us to replace our petrol cars with electric vehicles. As costs decline, the switch to renewables is likely to accelerate, and CO2 emissions are likely to start declining. In a way, these dotty denialists are increasingly irrelevant, because of this. Five years ago, you might have argued that renewables were so expensive that greening our energy system would reduce growth and lower living standards. But that's not true any more. So we are starting to switch to renewables and EVs for economic reasons as much as environmental. One day over lunch he explained to me that people were basically dishonest and couldn't be trusted.